High-performance computing (HPC) is one of today’s most important priorities. Europe can attain worldwide leadership in HPC, not for the sake of being the first to get the fastest machine, but to master this strategic technology and put it to the service of a more competitive and innovative Europe and to help us address our societal problems. With a differentiated strategy, sufficient investment, and political will, Europe has what it takes to be a global player and to achieve this ambitious goal. We believe that, with a common effort by all public and private actors in HPC – including EU member states, industry, academia, and the European Commission – Europe can make it happen. The rationale for such a combined effort is that the ICT revolution that started several decades ago is far from finished. Over the next few years, we will reach exascale computing; more and faster custom processors will power our everyday devices; and more data will be produced, stored, and transmitted. Forecasts suggest that, by 2020, 25 billion devices will be connected to the Internet of Things (IoT)1 generating more than 2 Zettabytes of IP traffic every year. By then, about 40 Zettabytes of data will be created, replicated, and consumed in a single year2. HPC is the engine to power to this massively connected digital economy. Behind the scenes, HPC pervades everyday life: cars; planes; glasses; shampoo; and toothbrushes are designed using HPC. Weather forecasts, movie animations, and new drugs tests all depend on supercomputers. HPC is a critical tool in decision-making; while electricity grids, water supply networks, transportation (for example, truck and flight scheduling), and defence applications all use HPC-based simulation. The convergence of HPC, big data and cloud will allow new applications and services to emerge. New access and delivery methods will allow the ‘democratisation of HPC’. For example, if HPC resources and simulation and software analytics tools can be made available over the cloud, this will enable SMEs that do not have in-house capabilities to produce better products and services. On the other hand, an open science cloud could harness huge computing capabilities and a wealth of open raw data and information through a cloud-based HPC and data e-infrastructure for researchers. The intertwining of HPC with a growing number of industrial applications and scientific domains makes it a key inter-disciplinary tool, as computational aspects are increasingly integrated in training, skill development, and education curricula in many different areas such as bio-chemistry, pharmacology, engineering, entertainment, and finance. These developments are reflected in one of the European Commission’s priorities: the Digital Single Market (DSM) strategy3. In a nutshell, the DSM means better online access to digital goods and services, leading to an environment where digital networks and services can prosper and drive growth, thus ensuring that Europe’s economy, industry, and employment take full advantage of a global digital economy. The DSM aims to get the EU’s single market fit for the digital age – tearing down regulatory walls and moving from 28 national markets to a single one. This could contribute as much as €415 billion a year to our economy and create 3.8 million jobs. HPC has a key role to play in the DSM, as a critical tool for better decision-making and innovation in science, industry, and society. Mastering HPC technologies is therefore vital for Europe’s ability to innovate. The case can be made from several perspectives, including industrial competitiveness, scientific leadership, and societal challenges. Industrial output accounted for 25.2 per cent of the European Union’s GDP in 20134. Independent studies have firmly established the link between HPC and industrial competitiveness5. Industrial sectors that leverage HPC could add 2-3 per cent to Europe’s GDP in 2020 by improving their products and services. In this way, HPC and big data will drive major advances and innovation. Europe is a leader in the use of HPC-powered applications and HPC users in Europe include the most profitable and vibrant industrial sectors. European manufacturing industry contributes €6,500 billion to GDP and employs 30 million people; the oil and gas sector represents €440 billion in GDP and 170,000 jobs; the pharmaceutical industry is even larger, generating €800 billion of GDP with a 40 per cent worldwide market share; while medicine represents €1,000 billion of public spending. European HPC investments produce excellent returns on investment (ROI): for projects that generated financial returns, each euro invested in HPC returned on average €867 in increased revenue/income and €69 in profits6. HPC and big data enable traditional computationally intensive sectors to move up into higher-value products and services, such as smart manufacturing/Industry 4.07. HPC allows manufacturing to become more efficient and more adaptable in meeting specific customer needs, and to handle the increasing complexity of decentralised, networked intelligence of the new industrial facilities. In addition, data, modelling and simulation pave the way for new science, business, and applications that we can imagine, but that are far from being realised today: personalised medical diagnosis and treatment; cosmetics; food security; sustainable agriculture; bio-economy; and accurate global climate models, all of which will bring enormous social and economic benefits. Over the past 20 years, the computational capability of the world’s fastest computers has increased by a factor of more than a million, triggering a revolution in the way science is carried out. All scientific disciplines today are becoming ‘computational’; for example, the 2013 Nobel Prize in Chemistry8 was awarded for the development of complex computer models that could apply quantum and classical calculations to different parts of a single molecule. Scientific computing is often called the ‘third pillar of science’, next to theoretical analysis and experiment. The new data-driven science means that researchers need easy access to a wealth of data and computing resources and this is one of the goals of the future European Science Cloud. Scientific advances require an increasing computing power. For example, the Human Brain Project (HBP)9 is pushing the boundaries of supercomputing and big data with advanced hardware, software, data infrastructure, and sophisticated computational models reaching exascale capabilities in order to run cellular brain model simulations up to the size of a full human brain. HPC simulation has also become a very important alternative to experimentation and testing; the social and economic costs of experimental (‘live’) science and engineering research on animals have risen sharply in the past decade. Health, demographic change, and wellbeing: discovering new drugs and customising therapies to the specific needs of a patient. Secure, clean, and efficient energy: developing fusion energy, designing high-performance photovoltaic materials, or optimising turbines for electricity production. Smart, green, and integrated transport: the control of large transport infrastructure in smart cities; real time analysis of huge amounts of data in order to provide multivariable decision/data analytics support on your mobile or in your car. Climate: HPC underpins climate study and prediction, as well as safety in the extraction of fossil fuels. Developing exascale technology: a strategic choice. HPC has become indispensable to support policy-making, to maintain national sovereignty and to further economic competitiveness. HPC is a strategic technology in the context of critical national security applications, such as nuclear simulation and modelling, cyber-war and cyber-criminality (industrial espionage). Supercomputers are in the first line for detecting today’s sophisticated cyber-attacks and security breaches, insider threats, and electronic fraud. HPC is also a critical tool for supporting the decision-making process, for example by modelling the impact of political decisions on energy, home security, or climate change. 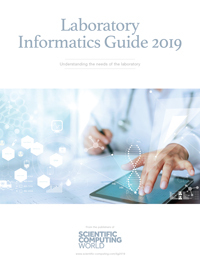 At the same time, the much larger and more complex datasets of modern science and engineering generate a need for technologies with significantly higher performance. This is why mastering HPC technologies – all the way from hardware and system software to applications has become a national strategic priority for the most powerful nations. The USA, China, Japan, Russia, and India have all declared HPC an area of strategic priority and have created national programmes with large investments to develop HPC technology and deploy state-of-the-art exascale supercomputers (see, for example, the US President’s recent Executive Order establishing a National Strategic Computing Initiative (NSCI) to foster US leadership in this field over the coming decades). The motivation for developing exascale technologies, therefore, is not merely to have the fastest supercomputer in the world. The goal is to build ‘first of a kind’ systems rather than ‘one of a kind’. The transition to exascale computing is an opportunity to influence a wide range of technologies that will feed into the broader ICT market within a few years of their introduction in high-end HPC – giving a competitive advantage to those developing them at an early stage. This global race is really about supremacy in supercomputing and in all the disciplines and markets that depend heavily on this technology. The risk of not being a global player is immense: being technologically locked out or deprived of this strategic know-how. The EU’s strategy to become a global player in HPC has to take advantage of European strengths and overcome our weaknesses, with an approach aimed at developing technologies with a market potential large enough for sustainable growth. Even though the EU is currently weak compared to the USA in terms of HPC system vendors, there are particular strengths that can be deployed to get the EU back on the world stage as a supplier of leading-edge technology. For example, Europe has technical skills and world-leading capabilities in critical technologies such as power-efficient nanoelectronics, interconnects, and processor design. Europe also has a strong position in parallel software development, and global leadership in HPC applications. The European approach is co-design: choosing and developing technologies that really fit the needs of important applications and the users of such technology. This will facilitate the take-up of products and systems based on European IP and, in the longer run, feed into the broader ICT sector – from smart phones to embedded systems to servers – solutions that have been produced in the EU. In 2012, the European Commission called on EU member states and private partners to step up joint efforts on a common HPC strategy to ensure European leadership in the supply and use of HPC systems and services by 2020. An independent study carried out by IDC6 found that, overall, Europe has made impressive progress in crucial areas for the implementation of the European HPC Strategy, especially in organising the European HPC community to pursue HPC leadership on a unified basis; in expanding the scientific and industrial access to and use of supercomputers; and in launching initiatives to strengthen the European HPC supply chain. Governance: There is wider and better European awareness of HPC, structured by a Commission-led effort to create the first Europe-wide HPC strategy. HPC governance in Europe has improved with the establishment of Prace11 in 2010 and the industry-led European Platform on HPC (ETP4HPC)12 in 2011. Prace is building a pan-European HPC infrastructure for scientific and engineering research accessible to all EU researchers through a single peer-review process, while the ETP4HPC has defined the Strategic Research Agenda in this domain. However, the European effort needs to go further. No single member state has the financial and technical capacity to compete effectively in HPC globally. A full HPC ecosystem can only be established by joint efforts that have enough critical mass to realise the goal of attaining leadership in the supply and use of HPC: that is, in both ‘production’ and ‘consumption’ of this technology. Europe has been falling behind other regions of the world because of its under-investment in establishing a complete HPC ecosystem, encompassing the acquisition of leadership-class computers, the development of its own independent HPC system supply, and the deployment of HPC applications and services for academia, industry, and SMEs. Funding: On average, the net increase in funding for HPC in Europe over the period 2010 - 2014 was extremely good for pursuing HPC leadership. Europe’s standing as a provider of high-end supercomputing resources advanced in both absolute and relative terms, narrowing the former wide gap with USA, China, and Japan. In June 2015, Europe hosted 18 of the world top 50 systems, including the Prace tier-0 supercomputers. However, significant additional investments for procurement of supercomputers will be needed if Europe is to stay in the HPC race; the IDC13 study estimates that the public and private investment required for Europe to achieve leadership by 2020 is of the order of an additional €500 million to €750 million a year, including the €1 billion-plus in funding needed to acquire pre-exascale and exascale supercomputers in globally competitive time frames. Member states and the Commission will need to find a way to coordinate and pool these investments. A contractual Public-Private Partnership (cPPP)14 on HPC was established in 2014 between the Commission and the ETP4HPC to support the development of HPC technologies and applications, with a contribution of €700 million from the Commission during Horizon 2020 and matching funds from the private side. For the period 2014 – 2017, a substantial amount (€317 million) has already been committed in Horizon 2020 for HPC, including €224.4 million for the HPC cPPP; developing core technologies; establishing eight Centres of Excellence in HPC applications in 2015; plus support actions for HPC ecosystem development. This is complemented with an additional €93 million from other parts of the programme: Prace; Public Procurement for Innovative HPC solutions (PPI); HPC platform for the Human Brain Project; the ICT Innovation for Manufacturing SMEs (I4MS) Initiative; and EU-Brazil collaboration in HPC. Industrial access to HPC: Over the past few years, there has been considerable progress in this area. Several member states have continued or set up new HPC competence centres to make it easier for industry – and specifically SMEs – to access HPC services, with supercomputing centres giving support and transferring expertise. However, greater outreach is needed to make HPC resources and software available to industry, especially SMEs. Stronger support is also needed for disseminating innovative European HPC applications and codes, which are currently in limited use, to a much broader industrial base. Skills and training: A critical component of the strategy is to develop a much larger workforce that is well educated and trained in HPC. There is still a shortage of qualified job applicants, as HPC competency is rarely required in university scientific and engineering curricula in Europe. Although there has been a lot of progress in Europe over the past few years, there is much still to be considered if the HPC strategy is to be successful. The technology building blocks that are currently under development need to be integrated into large-scale platforms using a co-design approach. The platforms will serve as stepping stones towards better scientific and industrial use of the underlying system design and technology. Exascale applications software packages will then be ported, enabling monitoring of extreme parallelism, reliability, resiliency, and scalability. There needs to be a coordinated acquisition strategy at the EU level. In cooperation with Prace and member states, platform integration will be complemented with a plan for the procurement of pre- and exascale systems. The huge investments required for the future generation of computing systems need the different national HPC policies and the European strategy to be tightly coordinated. This is critical, if Europe wants to remain competitive with the USA, China, and Japan. We need to support the ‘democratisation’ of HPC resources, by taking advantage of the opportunities offered by the convergence of HPC, big data and cloud to spread the use of HPC more widely. For Europe to become a hub of world-leading innovation requires that new, world-class computing capabilities should be easier to access and use across Europe. Such platforms could include on-demand HPC-empowered cloud services for industry, SMEs and science – in particular through the medium of the European Science Cloud. 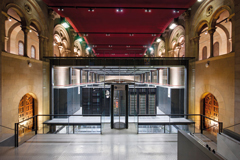 HPC is critical for data-driven science, so we need to discuss with e-infrastructure and research infrastructure stakeholders (including ESFRI) how best to integrate HPC with the European Science Cloud through such means as easier cloud-based access to HPC resources, including Prace Tier-0 and national Tier-1 and Tier-2 systems. Porting HPC applications and codes to the cloud will facilitate their access and use by industry, in particular SMEs; for example, by establishing libraries or ‘clearinghouses’ of software and tools to help disseminate innovative European HPC software that is now in limited use. Options could include both Open Source for free use, or for pay-per-use in cooperation with the independent software vendors (ISVs). There is also a need to promote HPC in academic curricula, and skill development programmes with a multidisciplinary approach, and to explore new training programmes that combine web-programming skills (which are more widely diffused than HPC/parallel programming skills) with cloud-based access to HPC.